Please find herewith below notification received from Pilbara Ports Authority. 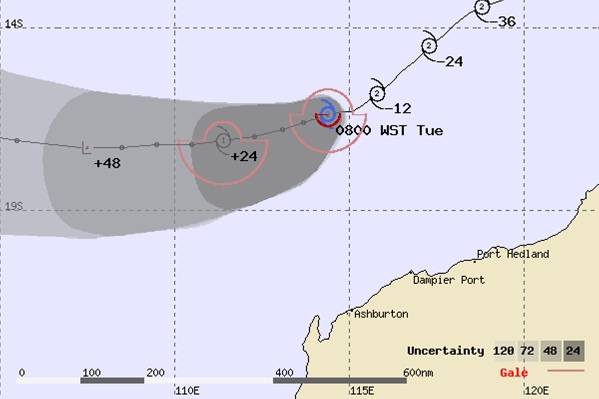 As per latest BOM forecast Tropical cyclone Wallace has started weakening and downgraded to a category 2 system. TC Wallace is forecast to continue moving in a West to South westerly (WSW) direction and unlikely to recurve towards Pilbara Coast. Port of Dampier will continue to experience swell today until Wednesday as a likely consequence of the cyclone.